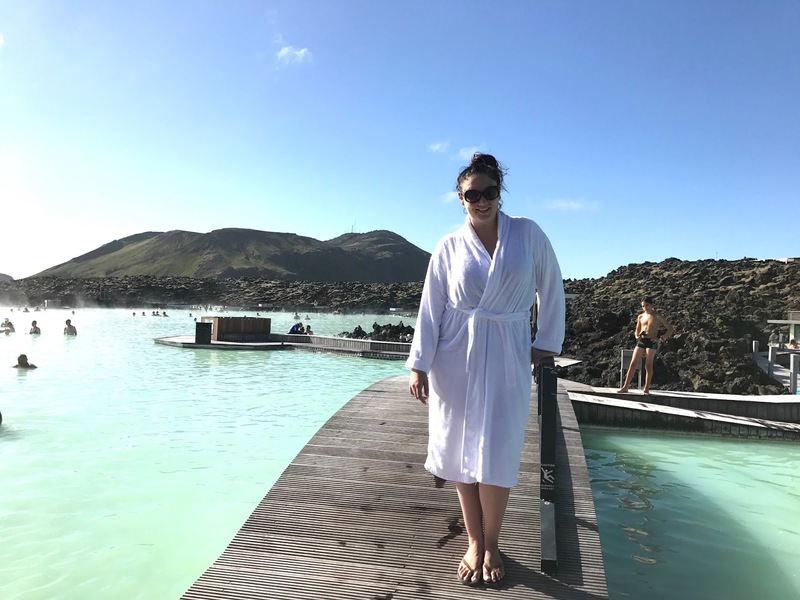 If you missed it last week, I started my Travel Tuesday series with a recap of my trip to Reykjavik, Iceland! 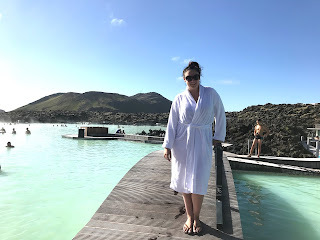 Visiting The Blue Lagoon is def at the top of most people’s lists when visiting Reykjavik, so I wanted to have a little post for it on its own, especially since I talk about the face masks I used while at the lagoon!! 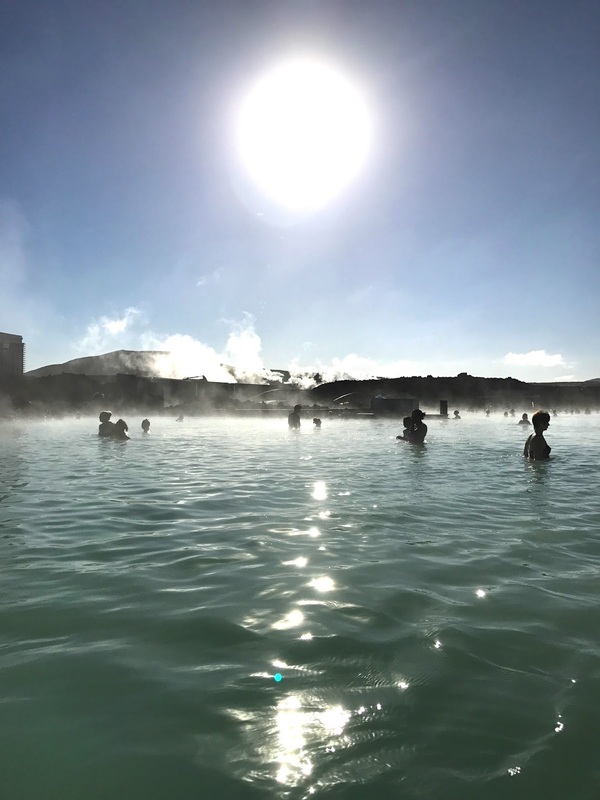 Make sure you check out my last Travel Tuesday post on Reykjavik, here! & don’t forget to read about my Reykjavik food adventures, here! Use Reykjavik Excursions as your transportation, as mentioned above, it takes about an hour. & treat yourself by upgrading your admission to the Premium Package. 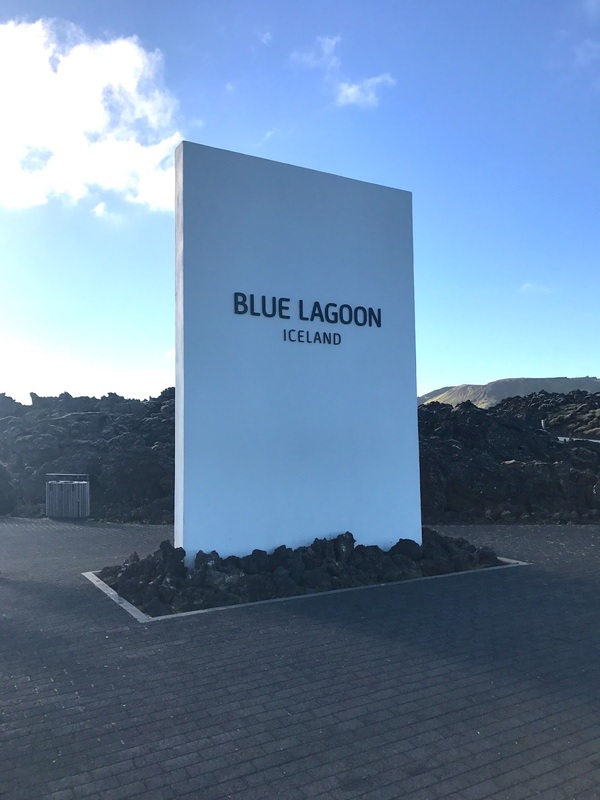 There are four options for admission into the Blue Lagoon, I think the premium package is the best option, it’s about $100 USD. The difference between this package and the less expensive packages is this one includes an extra face mask, use of robe & slippers, and a guaranteed reservation at their restaurant, Lava, with a glass of sparkling wine. I took advantage of securing the reservation at Lava, and had a light lunch there, which you can read about in my food post, here! All transactions that take place while your visiting scan onto a bracelet (just like in Disney World), and then you pay for it all at the end. They make it super easy fro you, which was great! In terms of time, I spent about 5 hours total at the Blue Lagoon. I had the earliest entry time, 7:30am, and loved being there so early, it wasn’t too crowed. They have lockers available in the lounge/ shower area, there was such a long line for lockers by the time I left at 12:30pm. I noticed some people just leaving their things unattended instead of waiting, something I’d never do, but as I said, there was a long line. The locker room area had decent showers, plenty of changing room, hair dryers, and some amenities to use once you’re ready to leave. PS: You can only buy 3 alcoholic drinks!! I was so shocked when I realized I had spent 3 straight hours in the lagoon, the weather was beautiful, it was slightly chilly but the water was so warm and soothing. 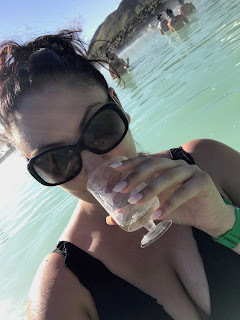 I had been having back issues before my trip, and sitting in the lagoon was the perfect remedy. I brought a book, and was able to sit in the water, which was awesome. Through the 3 hours I did 2 face masks and a scrub, all of which were incredible! I started with the Lava Scrub, to exfoliate and prep my skin for the masks. 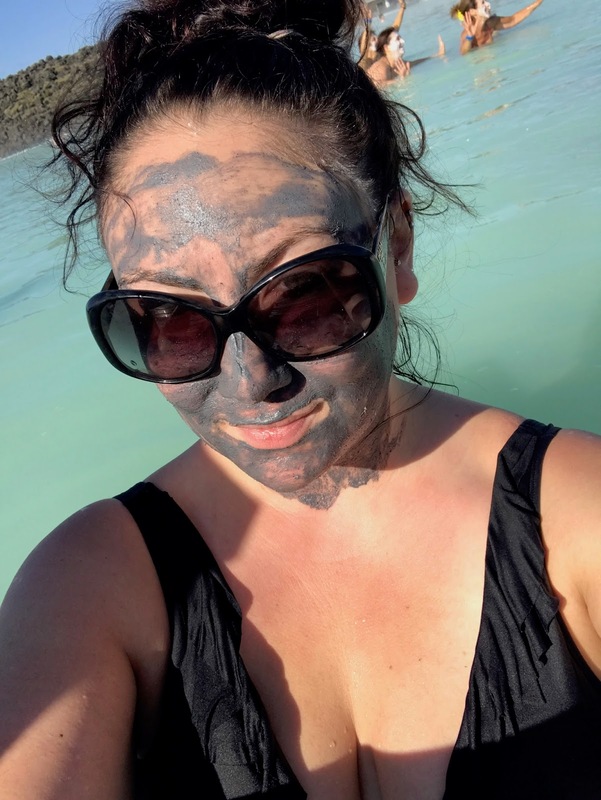 This scrub is made from lava that surrounds the Blue Lagoon- it was quite grainy and gave a great exfoliation. Even if you have sensitive skin, I think you can still use this, you just might not want to scrub as hard. 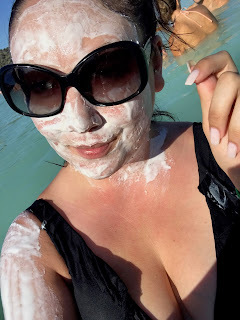 After my scrub I let my skin rest a bit before applying The Blue Lagoon’s signature Silica Mask, which is the typical mask you see people applying at the lagoon. This is a mud mask that aims to deeply cleanse, perfect after exfoliating with the lava scrub, strengthen & illuminate skin, & tighten pores. The last mask I applied was the Algae Mask, this is a part of the Premium Package I bought. The Algae Mask is geared toward preventing fine lines and wrinkles with The Blue Lagoon’s patented algae. I found this mask to be super refreshing, and it’s strong, so you don’t need to leave it on for too long, just about 5-7 minutes. These masks are def not cheap…I can’t say I would ever buy them solo, I think my favorite The Body Shop and other masks might be better. At the end of the day, it’s about the experience with the masks, and the experience was top notch!! 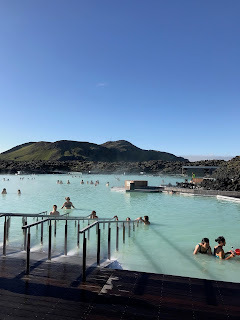 I’m looking forward to visiting the Blue Lagoon again some time, it’s an experience not to be missed!